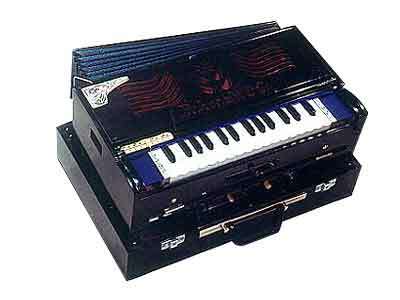 Scale changer portable harmonium. Available in two and half playing octaves. You can change the scale as and when required. Scale display label : It helps you to change the scale without looking down at the changing knob. Coupling system :- This system provides you a unique facility. While you are playing a particular note the sound of the same note of lower octave will set it automatically. You can change the scale as and when required. It is in the form of a locked suitcase, thus can easily be carried from one place to another. Minimum space occupied while keeping. Easy to preserve the instrument from dust, heat and light. Playing octave two and half. A nice way to make your Instrument Special - Custom Labeling of Harmonium. Now you can customize your harmonium with your name engraved on a SILVER plate and get it fixed on the instrument. 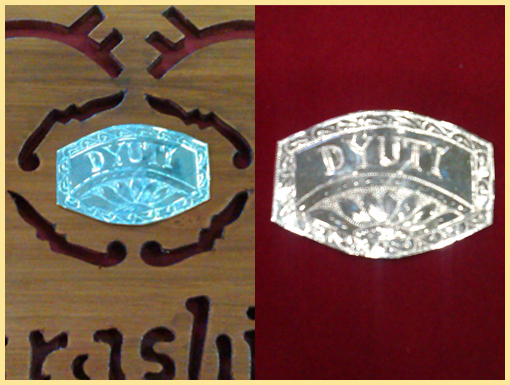 We will engrave the Name/Word as provided by you. A confirmation mail will be sent . Please Select YES for Custom Labeling of harmonium. For custom labeling $15 will be added with offer price if you select "YES" for custom label.